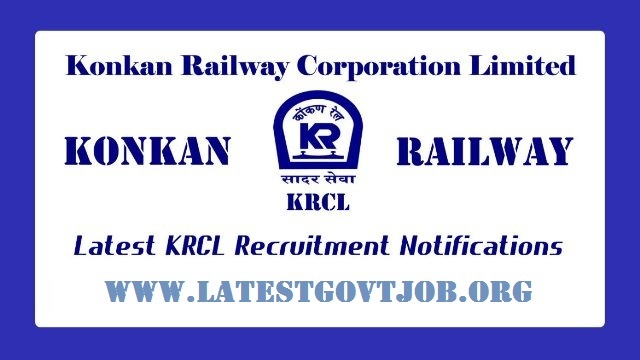 KRCL Recruitment 2018 for Technician Various Vacancies | Apply Onine @www.konkanrailway.com : Konkan Railway Corporation Limited (KRCL) has released a notification for the recruitment of 65 Technicians. Interested candidates may check the vacancy details and apply online from 23-03-2018 to 30-04-2018. More details about KRCL Recruitment (2018), including number of vacancies, eligibility criteria, selection procedure, how to apply and important dates, are given below..
Educational Qualification: Candidates should have passed 10th in any stream with SSLC and ITI in relevant trade from a recognised board/institute. Selection of candidates will be made on the basis of Computer Based Test and Personal Interview. General/UR/OBC candidates have to pay Rs. 500 and SC/ST/Ex-Serviceman/Female candidates have to pay Rs. 250 through online mode using Net-banking/Credit or Debit Card. Interested and eligible candidates may apply online through KRCL website - http://konkanrailway.com/ - from 23-03-2018 to 30-04-2018.